Two weeks ago I turned in my second novel, FINDING IZZY LANE, to my editor at St. Martin’s Press! I’m pleased with the book and eager to hunker down with edits and get this novel out to readers, hopefully Spring 2015. But this is publishing folks, so of course, that could mean winter or summer or fall! I’ll write more about the book as time goes on, but for now, here’s the lowdown on Izzy! Lies, love, and the internet collide when divorced mom Izzy Lane moonlights as a dating expert for a popular website, even though she hasn’t dated in years. In real life, Izzy has moved back to her childhood home with her five-year-old son, is still hung-up on her unemployed ex-husband, and spends weekends hanging out with an eighty-five-year-old neighbor who harbors secrets of her own. When Izzy discovers some lies can last a lifetime, she must decide if telling the truth to avoid that fate, is worth risking the friendships, love, and job she’s come to count on. Today, I turn FIFTY! Yes, that’s 5-0 and I’m fine with it! I bought myself a new pair of earrings and matching necklace from Etsy (I heart Etsy). Last weekend my daughter and my son came home from their respective colleges just to celebrate with me. I’ve had, and am having, celebrations with friends. In early March I’ll celebrate with my immediate family and a few cherished (I won’t say “old”) friends during a weekend away. Now, if random strangers would be kind enough to say I don’t look old enough to have a 22-year-old son graduating from college, that’d be super. I may be fine with fifty, but I’m not above a little flattery. In March, Women’s Fiction Writers turns THREE! I’d already been blogging for five years, but it took me six months to get up the gumption to start Women’s Fiction Writers in 2011. Then, WFW took on a life of its own. Thanks to all the authors who’ve participated and all the writers and readers who welcome it into their inbox and swing by once or twice a week. In 2013, WFW had over 37,000 views from over 137 countries. That, my friends, is another reason to celebrate. Want to see all the authors who’ve been here (and some to come)? Click here. In honor of these three turning points, and because I don’t yet have my new book to give away—as a thank you for hanging out here, and supporting me in all kinds of awesome ways, just leave a comment and 13 of you can each win one of 13 books by 11 amazing authors. You have twenty four hours to enter, and prizes will only be mailed within the United States. Tweet it or FB the link and add another comment for a double or triple entry (but that’s it, tweet it a gazillion time, still only one Twitter entry). You can also *like* my FB page and sign up for my newsletter (but if you’ve already signed up, please don’t sign up again, just tell me you’ve done so) to enter as well. Winners will be chosen and books awarded randomly (unless there’s one you’re dying to have, make a note of it, and if you win, I’ll do my best!). You can only win once. If you can’t be reached via email someone else will be chosen right away. Winners will be announced on the blog and emailed by Friday morning. It’s easy. Leave a comment, tweet, like, or click to win a book. Good luck! What a tremendous list of authors and books…..congratulations! (And thanks!) On turning 50….congratulations (and it beats the alternative!!!) and for finishing and submitting another new book…..well, congratulations again! Happy Birthday, Amy! Fifty is more fun than you may think! Enjoy your success, children, and friends! Happy Birthday, Amy! 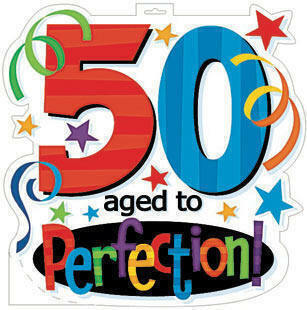 Welcome to your fifties, and wishing you every happiness and success! Oh, and cake. Don’t forget cake! Congratulations on all three milestones, my dear Amy!!! Happy birthday Amy, and congratulations on getting your book handed in on deadline! Phew–you are an inspiration. Happy birthday, Amy! The 50’s are great years! Enjoy! Happy, Happy, Happy! Hope the year is just as wonderful and as generous as you are. Welcome to the 50 club – I have be in the same club for 24 days so I speak with experience when I say, “It ain’t so bad” Looking forward to the new book! Have a fabulous birthday celebration! You have so many things to celebrate. Happy Birthday! Oh my! The reflective emotional prose I enjoy in your stories could well be inspired by lovely Pisces energy! Happy, happy, happy birthday, Amy! All the best and enjoy your special “look around and take stock” mile marker day. Happily embrace the next 50! Been there 17 years ago and the best is yet to come! Can’t wait for Finding Izzy Lane! I read each blog post faithfully and have gone back and read most of the author interviews since you started WFW. I’ve learned so much for you and your guest authors. Happy Birthday to you. Happy birthday, Amy! Looking forward to your next book. (I already like your fb page and just signed up for newsletter). Wishing you a fabulous year! First…I can’t wait for book two!!!! Happy Birthday, 50 is Fabulous….if you haven’t seen it look on you tube for I’m 50 video from SNL, it still makes me laugh! 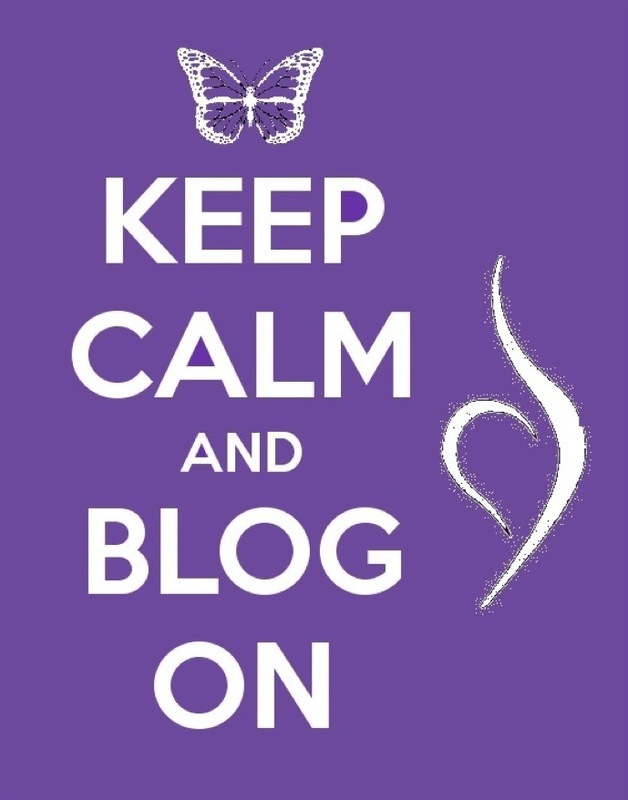 Congrats on the blog being 3…I love all the authors and books you share! 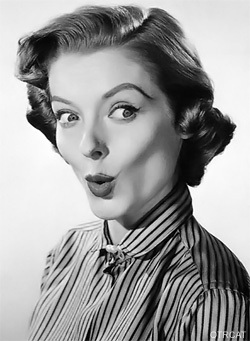 I’d love to win a book…I know you’re shocked! Before I even saw this post, I knew it was your b-day. Enjoy it, Amy. Congrats on turning in your NEXT novel (what fun) — and what a great way to celebrate your 50th. I would love to win one of your great books (I’d be delighted to win WHAT SHE LEFT BEHIND if I’m so lucky to be chosen). I already receive your newsletter, and I tweeted, my friend. Enjoy your special day; you have much to celebrate! HAPPY BIRTHDAY!!!! I’d love to win!! One, I never would have guessed that you were fifty. Seriously. Two, congrats on a great success with the blog! I found this first when I was trying to figure out where I belong in the writing world. I might have cried and did a little happy dance simultaneously when I saw such a thing existed. Three, holy giveaway Batman! And I’ve only read one of them! Off to add the rest to Goodreads. Is it too late to enter? Thank you….and congrats on the milestones. Hearty congratulations Amy! WFW is one of my go tos and it’s a wonderful source of inspiration — as are you. And a heartier happy birthday! Sounds like you have a fabulous lineup of celebrations. I do like you on FB and am signed up for the newsletter and I’ll now tweet and have FB shared 🙂 fingers now crossed! HappyHappyHappy BD to you and me and the rest of us 26er’s ! Congrats on 5-0, year three of the blog, and the upcoming book! You are ready to sail ahead into a great new decade! Congratulations on achieving all of those milestones! Here’s hoping WFW also gets to see its fiftieth birthday! Happy B’day Amy! And best of luck with novel #2!!! Congratulations on your three milestones! I have already liked your FB page. I loved The Glass Wives, and I look forward to your next book. Congratulations on the birthdays. You look much too young to have a son of such an advanced age. I also just signed up for your newsletter. I think I am now totally connected. Sorry but I don’t tweet. Only birds should tweet IMHO. Congratulations! My gynecologist congratulated me for my 50th birthday–I don’t think either of us figured I’d survive breast cancer at 45. I celebrate each and every birthday. Each and every day, actually. And congratulations on turning in your second book! Happy Birthday, Amy. The fifties are Fabulous. And if I’m fortunate enough to be one of the winners, I’ll gladly tell the world you don’t look old enough to drink! On second thought, I’ll say it whether I win or not—flattery is Fabulous too. Hello Gorgeous! Happy birthday and congratulations on WFW. It has given so much pleasure. Oh, BTW, you don’t look a day over 29! Happy Birthday! You’re so kind to give us gifts on YOUR birthday! I’ve been reading WFW since one of the very first posts (found it through random stalking/googling) and I can’t believe it’s been three years. Welcome to the 50s – it’s great on this side! On one hand, I DO get comments that I couldn’t have kids the age I do. On the other, I returned to college two years ago, but when I’m walking down the hall the 20-somethings all think I”m a professor! Anyway, congrats on finishing your book and the WFW anniversary. Cheers! Happy Birthday! Once you’ve arrived and settled into your 50’s, it’s not so bad here. 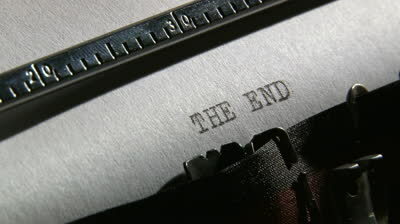 Thanks for all the great posts and good luck with your novel! Happy birthday! And congrats on the second novel being turned in! Huge huge huge! Love the premise and can’t wait to read. Wow, our birthdays are just a week apart. Have a great one. Would love THE PLUM TREE. I just finished The Plum Tree a week ago – loved it! Happy birthday! I’ve been a fan of your site for quite a while–just signed up for the newsletter and FB as well thanks to your encouragement here. I’m a newbie in this writing game, and your success and posts all give me hope! Here’s to many more years! Happy Birthday and congrats on your new novel. Thank you for the opportunity to win a book. Enjoy your day. Congratulations! I turn 50 this year, too…thanks for having a tremendous book giveaway! Happy Birthday! I don’t think you look fifty. I know so many people who turn fifty this year. You’re in great company. Thanks for the giveaway. Oh, I forgot to add that I signed up for your newsletter and I like you on Facebook. Happy birthday and congratulations on your new book, Amy! Izzy sounds wonderful. And I join the chorus of people who are surprised that you’re turning 50. Based on your photos, I would have guessed early 40s. May you always look fifteen years younger than your age, lucky girl. What’s not to like about that? 🙂 I’m so thrilled to see a woman being publicly fine with 50. This year will be my 40th and I too am just fine with that. Happy birthday! Happy Birthday Amy! Fifty is nifty. (or so I tell myself). Count me out of the contest as I’m in the UK. Happy 50th Birthday Amy! You definitely do not look old enough to have a 22 year old son! I’m looking so forward to reading your new book! Happy Birthday, Amy! Wishing you all the best! Happy birthday my dear! Note you don’t look anywhere near 50. And seeing how you are on FB and Twitter, you don’t act like a 50 year old either. Congrats on the book, and CANNOT wait to read it. It sounds great! And yes, this is one fantastic giveaway! Happy 50th Amy & congrats with the other two as well. Ah, Amy, welcome to another wonderful decade of writing, publishing, and reading. We’re so lucky to have you supporting women’s fiction! Happy 50th Birthday. Shortly before my 50th, I married my husband. It changed my whole life. I hope your 50th begins a whole to era of surprises and happiness. Happy Birthday Amy. How sweet of you to celebrate by giving books away. I have liked your FB page and signed up for your newsletter. I loved The Glass Wives and sure look forward to your next book. Happy 50th Amy! Yesterday was my birthday (25th) and I turned 60! Happy Birthday, Amy! Congratulations on Finding Izzy Lane, turning the big 5-0, and the upcoming anniversary of WFW. You’re simply wonderful! Happy birthday, Amy! It sounds like you have much to celebrate this year. Your new book sounds great! Happy birthday. Hi Melissa, you’ve won a book! Please email me your address ASAP! Happy birthday, Amy, and welcome to this side of 50! Happy Birthday Amy! Congrats on the book, can’t wait to read it! Congrats on your WFW anniversary! Wishing you all the best! Happy Birthday! Congrats on this site and all the work you’ve put into it! Happy Birthday to you!!! I signed up for newsletter and liked on FB! Hope you are having a great birthday! You have an awesome group of authors on your give away list!! I have read books from 4 of those listed, including yourself and have enjoyed every single one if them. I hope to be one of the lucky recipients in your give away.